Crash Dive Base, along with USS Chicago Base, is collecting donations to help build this memorial. If you would care to make a donation, please go to http://crashdivebase.com/chicago-memorial/ , click on the “Chicago Memorial” tab, scroll to the bottom of the page where you will see information on where to send a check. If you are interested, PayPal is also available. Any and all donations will be gratefully accepted. We also have a “Go Fund Me” account which can be accessed by using: gofundme.com/gl1evc . We are a 501 (C0(3) non-profit organization. If you have any further questions, please use the “Contact Us” tab on the website, and we will get back to you ASAP. 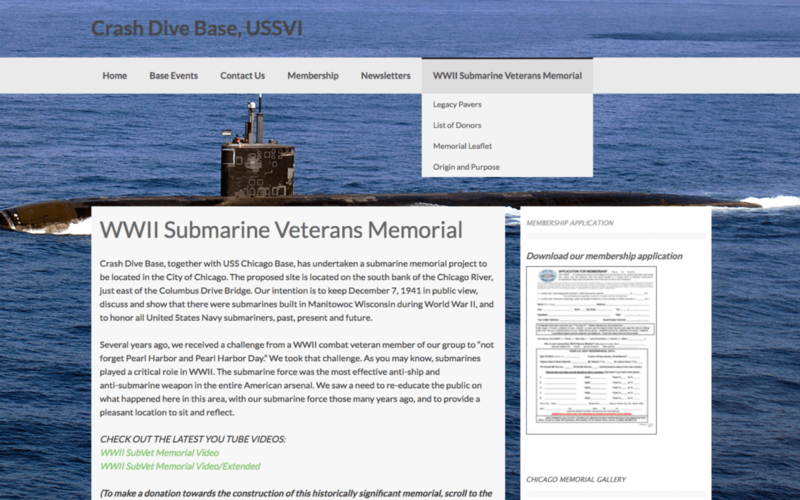 Thank you for you interest in this Submarine Veterans Memorial.